Mechanical engineering is one of the oldest branches of engineering and deals with the design and manufacturing of machinery. It involves various aspects of designing, manufacturing and maintaining machinery used for various purposes whether small or big. This engineering branch is so wide that students can take up any number of projects, big or small, not just for their final year but for every semester. 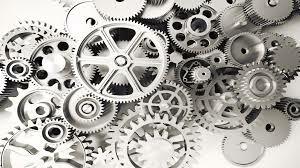 Hundreds of mechanical engineering projects are posted all over the internet in different websites. Surfing the web will give you many ideas for interesting projects. Here on this website, I have collected some of the popular ones to give you a general idea about each. Here is the list of mechanical engineering projects I created. What are Mechanical Engineering Projects? The mechanical engineering projects given here are mainly categorized under 5 headings Automation, Design, Power&Energy, Robotics and Automobile. Each project here gives you a general outline of the tasks involved in the execution. I have tried to insert my own ideas as well. But these are incomplete without your research. I am sure that you know what is a mechanical engineering project because you will not be here without knowing it.I will explain some things that you do not know about it.You are most probably a final student, right? If so you are running through lots of college activities, seminars and so on.So you may think of buying an instant project or get it done by someone else.Never do this.Not only you are cheating the college but you are cheating yourself. A Mechanical project is a part of your curriculum.You have marks and grades for it.You must present it on the assigned date.Failing any of these things will make you even repeat the semester.This is usually the general trend in most colleges.You will be creating a well-built project that catches people’s attention if you work truly. What a true mechanical engineering project is something that came out of your knowledge and hard work.You need to concentrate on a particular area of your branch and choose a project topic.Let it be a simple mechanical project or a complex one.What matters is that whether you do it yourself or not rather than purchasing a costly project for the sake of more marks and grades. How to Brainstorm Ideas for your Main or Mini Mechanical Engineering Projects? Ideas are the most important aspect for the success of a mini or main project of your final year.Nobody can make you think more or teach you how to grab ‘ideas’. Here I am giving some general tips that can help you get quick ideas for your projects. There are many great professors in every college.Talk with them, learn more and explore new ideas. Reading is the best thing that can give you more ideas about anything.As you read more you learn more.Knowledge can bring you lots of great ideas. What we see in movies may be impossible at all but still, you can get a lot of similar ideas for making some other great things.Movies are a large resource for a world of ideas. Like I provide information on this blog, there are a large number of online journals and blogs that provide great ideas and unlimited resources for guiding you.Whatever you need to know can be done with a simple search. Here is another great site for engineering mini projects. Explore More and Innovate !! Best Wishes !! I have tried my best to collect and compile the projects into a downloadable PDF format.Most posts in this blog contain the PDF files at the end of it . It is difficult to provide PDFs for certain projects as they are restricted by its creators. How about an air condition powered by solar ? You can save a ton of money on your electricity bill. Heard about Air Cars ? How about your car runs on air as the fuel ? The air that is available for free can be used as a fuel for running your car. Hydrogen powered vehicles are not a concept anymore. There are large number of vehicles running on hydrogen fuel.On burning hydrogen we get water,so this is a completely eco-friendly fuel for vehicles. Interested in designing a hovercraft as your engineering project ? If so we are here to guide you in doing the basics. The design we have implemented here is the one which can be powered by one or more engines. A firefighting robot? Do you think that this is possible? Yes !! You can build a simple engineering project by choosing to build a firefighting robot as your project. What this robot does is that it will start spraying the water like a fireman does.With this robot.it can enter anywhere without fear.It is fireproof ! We know that you are busy looking for a final year engineering project for your academics. The aim of this venture of ours is to help you for your Mechanical Engineering Projects by providing you different project ideas and reference materials so as to reduce your strain during the final semester curriculum and give you enough time to relax and prepare your project. We hope that this humble venture of us contributes lot to your academics. Please let us know your feedback on different seminar topics and use the comment facility well. Wish you Best of Luck with your projects! !